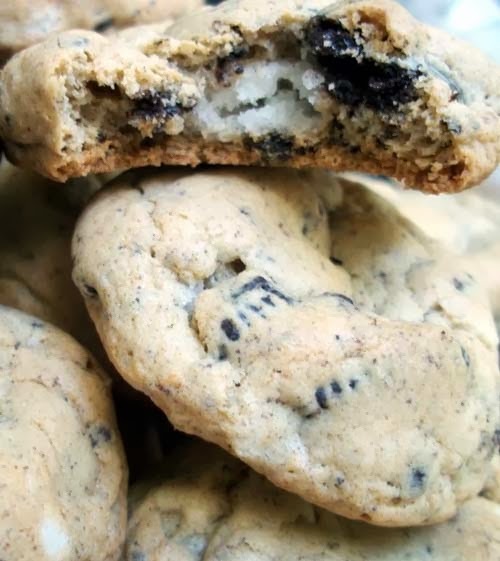 A fantastic variation of cookies with Oreos since these Oreos are crushed and blended to be the cream of Cookies 'n' Cream. In a bowl, mix flour and baking soda. Set aside. In a large bowl, cream butter, brown sugar and sugar. Add in pudding and continue to mix until well blended. Add eggs and vanilla. Add flour mixture slowly until well incorporated. Stir in crushed oreos. For each cookie, make a 1" ball and place on baking sheet. Bake for 8-10 minutes. Let cool in a cooling rack before serving.